September (and half of October) has flown by – that will happen when most of your week is busy with school, family, and grad work. I have a short break between classes right now, so I’m in frantic finish some projects mode. 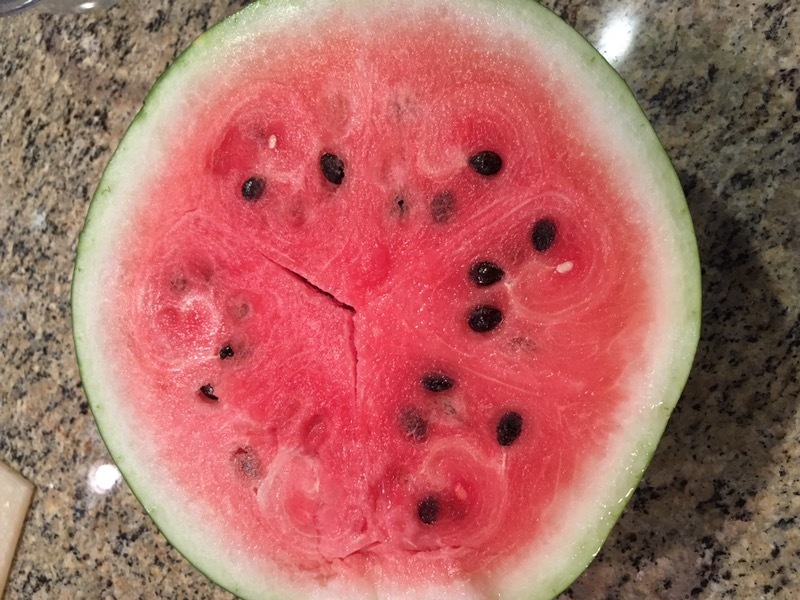 We took it to a friends’ house and only ended up eating some of it, enjoying leftovers during the remainder of the week. 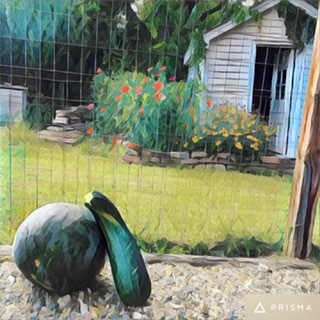 I took this shot with the Prisma app, of my mom’s garden and our melon with a large zucchini. I always find fall to be so bittersweet, the coming cool balanced with the bountiful harvest as a result of the long, lovely summer days. I’ve been prepping plants to bring in for the winter, as we had our first frost this past week. 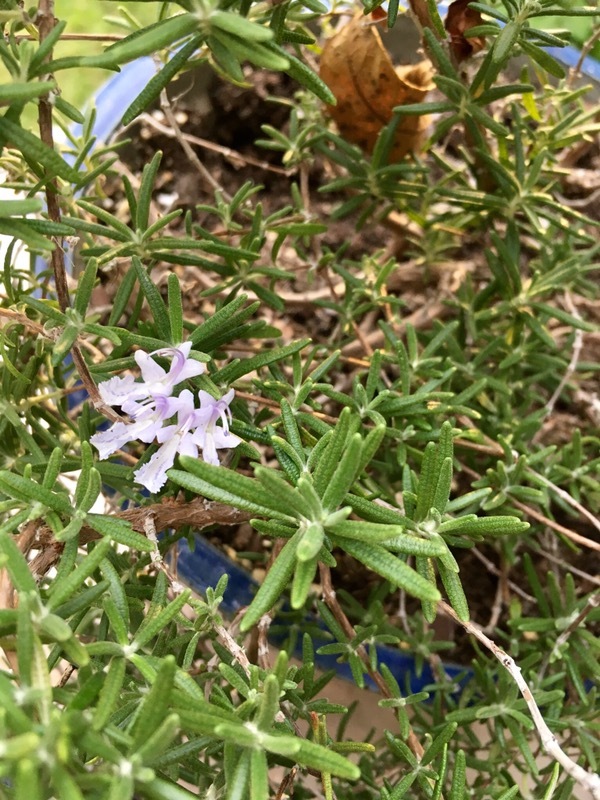 My Rosemary plant is so happy it bloomed this fall – I’ve never seen this before. They have the loveliest lavender delicate flowers. 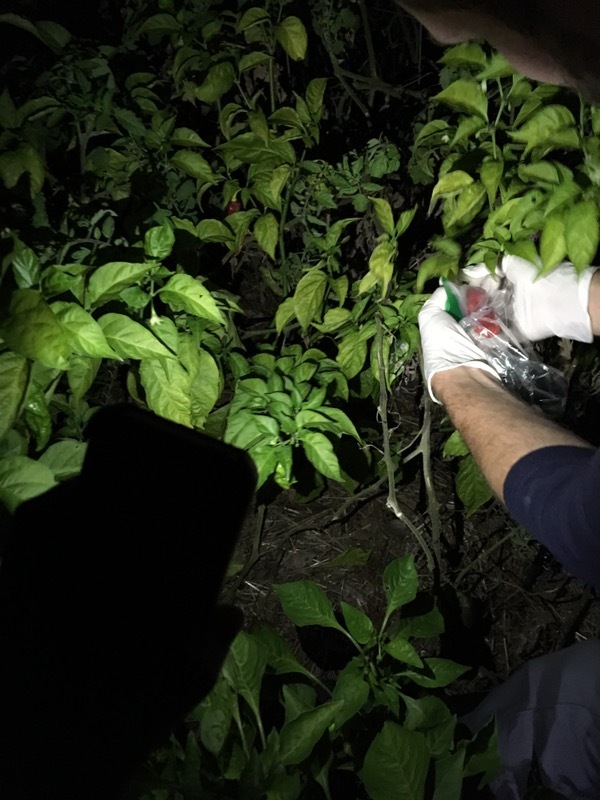 I look forward to fresh herbs in the howling, bitter dead of winter. 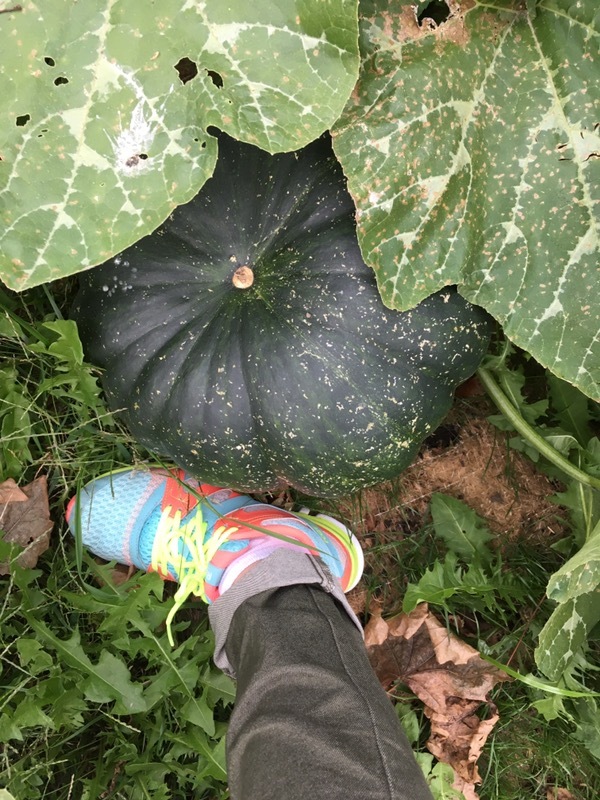 Our pumpkin and squash plants flourished this summer – some were intentionally planted and some volunteers from the compost pile. 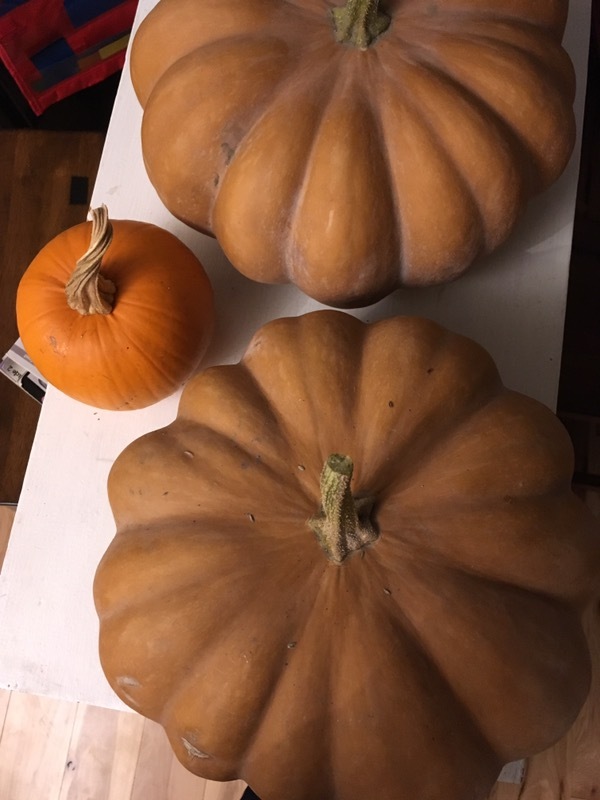 We picked these three beauties last week, before the frost. 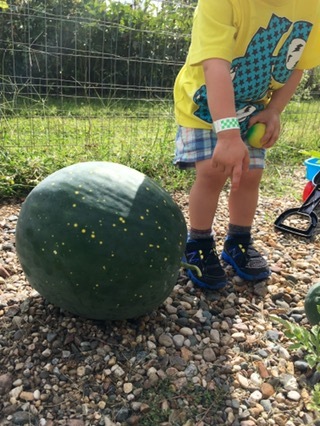 Then we discovered two more large, but still-green pumpkins in the garden! Those sneaky little devils. The pumpkins, frost, and coming of October inspired me to set up for Halloween. 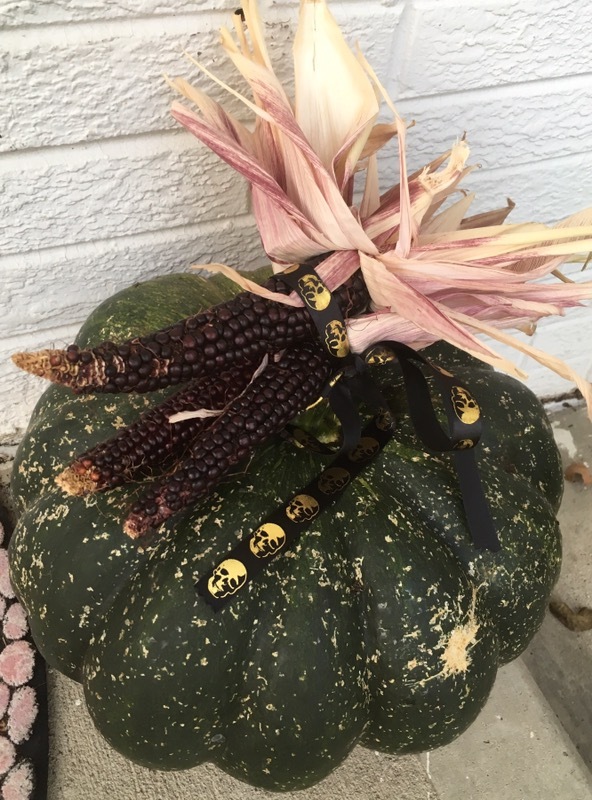 I put my pulled the corn roots, after harvesting my black corn. 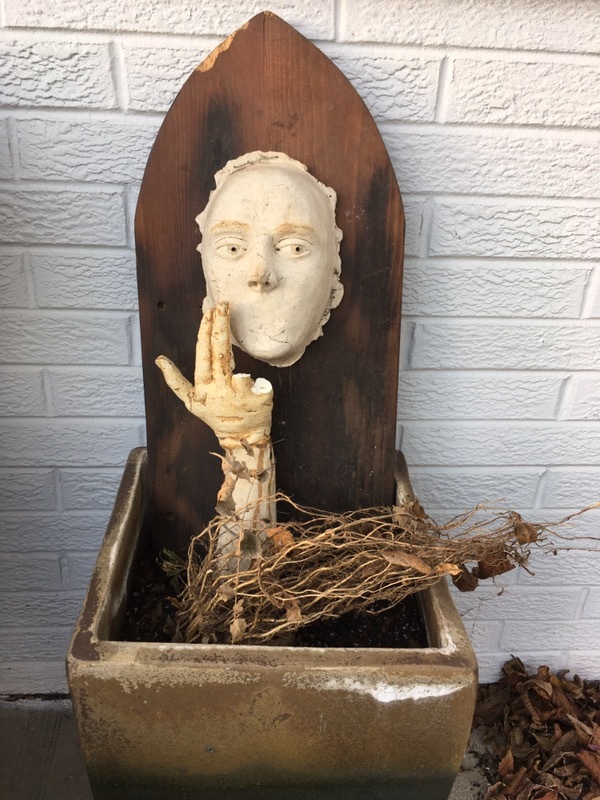 The creepy roots, combined with my ceramic pieces from AP art class in high school, create the perfect spooky mood by my front door. 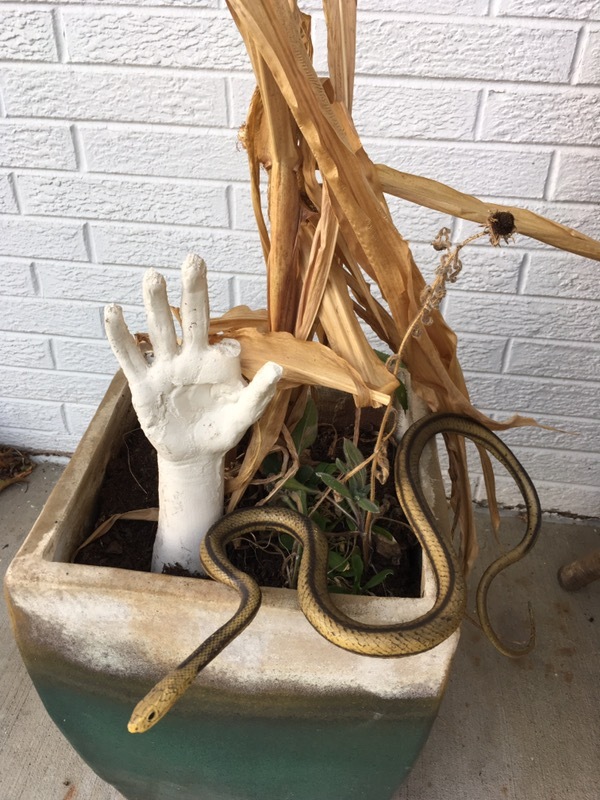 A few dried stalks, a rubber snake, and a ceramic-cast hand are perfect in the now empty planters at my front door. 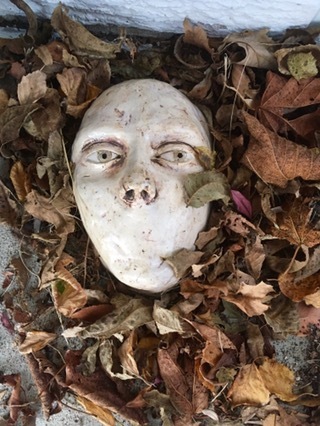 I placed a few random ceramic masks, created from molds, around on the ground, slightly covered in leaves. My kids still find these frightening, so outside decor they stay.